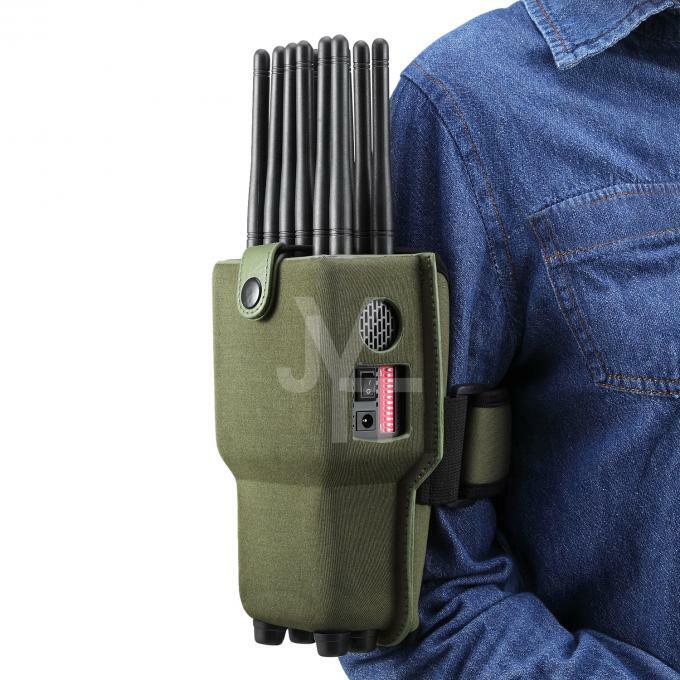 This 12 antennas all-in-one hand-held portable cell phone jammer is the private design of JinYaTong Technology. 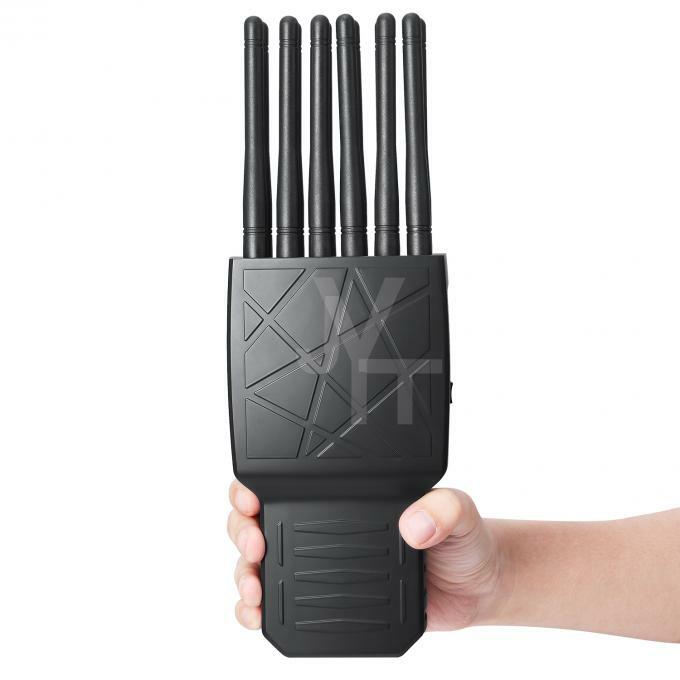 As the world first all-in-one cell phone signal jammer,which can also block GPS,WIFI,RF signals like 315,433,868,this cell phone jammer can meet your target of most general type of affected frequencies.Easy to carry on,it's handheld.Good cooling system with 3 cooling fans inside. 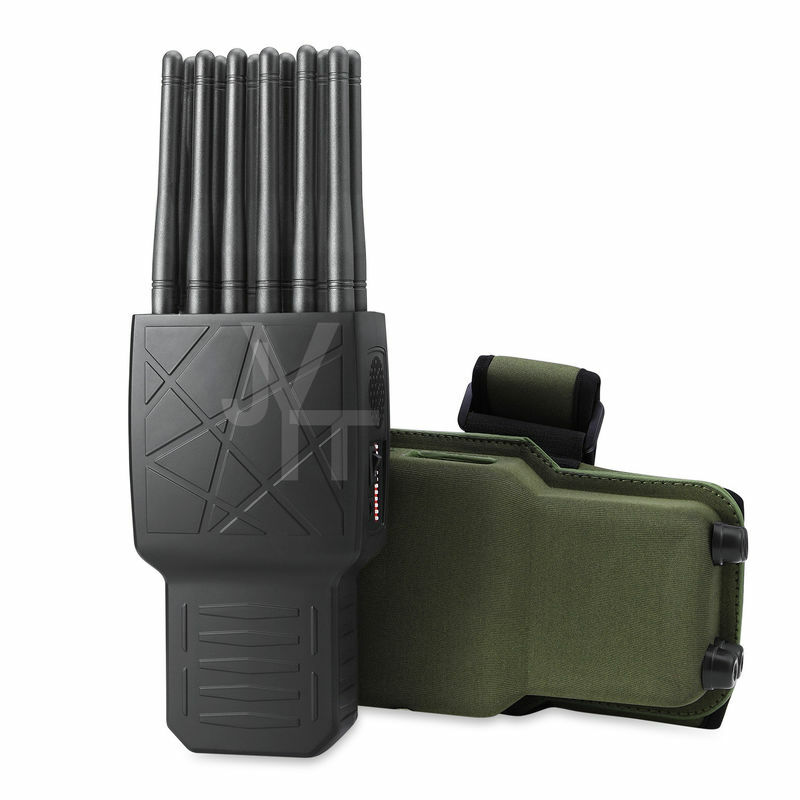 *World first 12 bands all-in-one frequencies blocking all cell phone signals,GPS,WIFI,RF signals. *Hand-haled design,plam size,similar to cell phone or Walkie-Talkie. *Easy to carry,can be put into the pocket,suspended or wear on belt. *With DIP switch,can turn on/off any signal band without affect other bands. 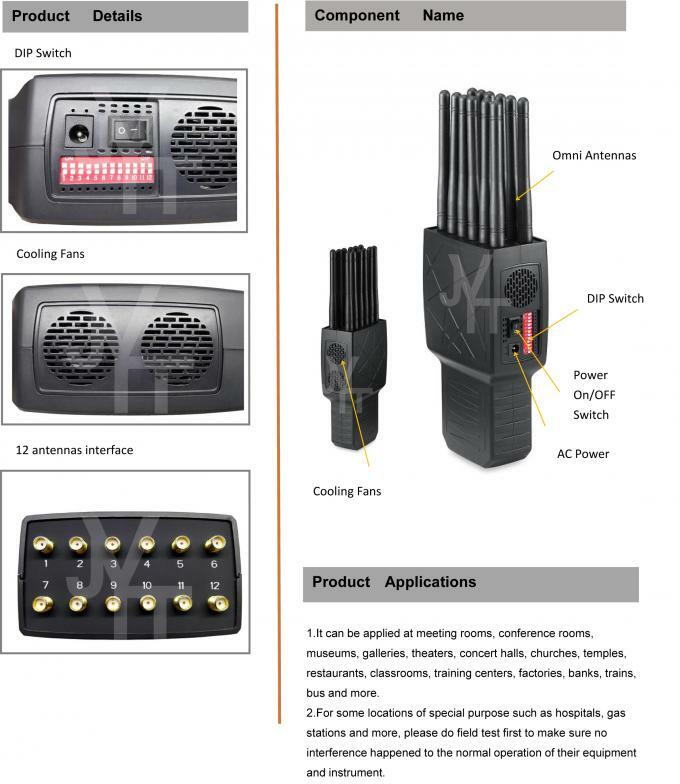 *With car charger,can used in car directly,DC12V.AC power supply is also available. *With built-in battery,can work 90 minutes:use the world's most safety high-capacity battery,can be repeated charging. Power supply: 50-60Hz, 100-240V AC,DC12V. 1.It can be applied at meeting rooms, conference rooms, museums, galleries, theaters, concert halls, churches, temples, restaurants, classrooms, training centers, factories, banks, trains, bus and more. 2.For some locations of special purpose such as hospitals, gas stations and more, please do field test first to make sure no interference happened to the normal operation of their equipment and instrument.